ReadiFood is a member of the Independent Food Aid Network and not affiliated to the Trussell Trust. We had been operating before “Food Banks” became ‘a thing’, so there was no advantage to joining and changing our well established methods. 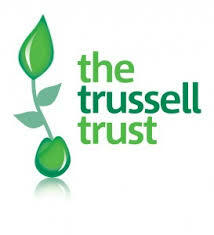 Over the past 10 years Food banks both inside and outside the Trussell Trust network have been opening at an extraordinary and unmeasured rate. New research by the Independent Food Aid Network has revealed that there are more 650 independently run food banks operating across the UK. When you add in all the Trussell Trust Food Banks and smaller Food Stores and outlets, this comes to a staggering over 2000 places where food is given away across the UK. This research was covered in The Guardian newspaper on the 29th May 2017. For years we have looked to the Trussell Trust to indicate the scale of food aid in this country but there’s a great deal more to the story. The figures show that the number of food banks in the UK are a lot more than the estimated figure. We are grateful to our friends at Trussell for using their size as a Network to bring pressure on the government around food poverty in the nation. ReadiFood have actually been involved over the past years in reporting to and attending gatherings of the Feeding Britain reports.